I had a great day at Barrington Books this past Saturday, reading and signing OTTO and Mr. Prickles and meeting the wonderful bookstore staff. The night before, as I got ready for the event, I thought it might be interesting to show you what goes into my preparations. 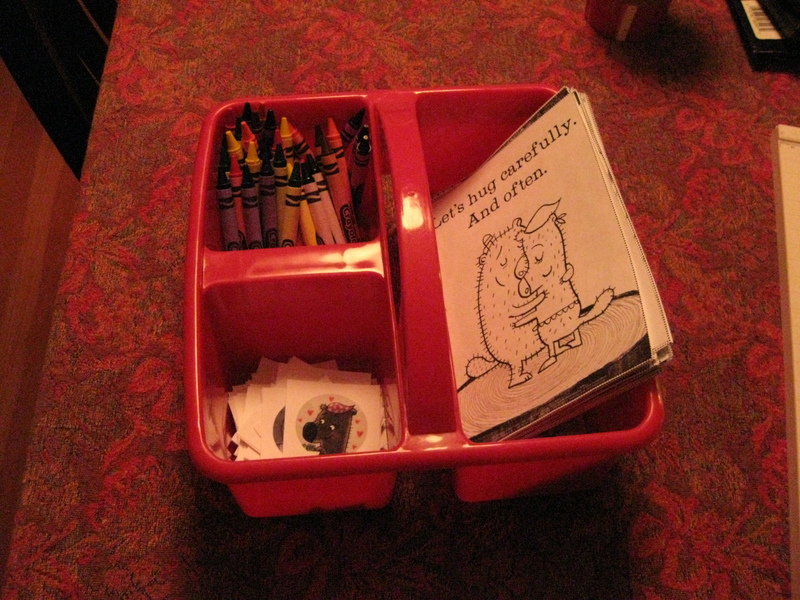 First, I printed out activity pages to give away with each signed book. 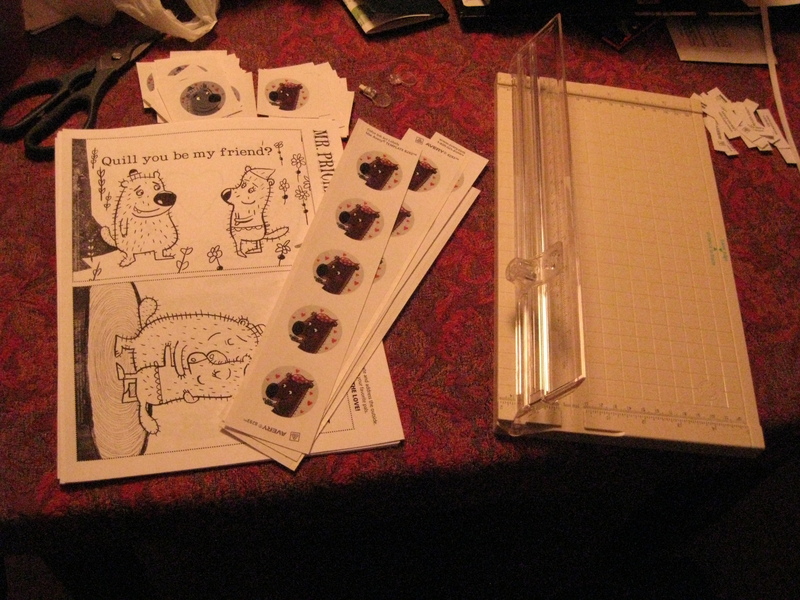 The OTTO-mobiles page for OTTO is printed out on heavier card stock at Staples, but I print out the Prickly Love Notes and Prickly Stickers for Mr. Prickles on my printer here at home. 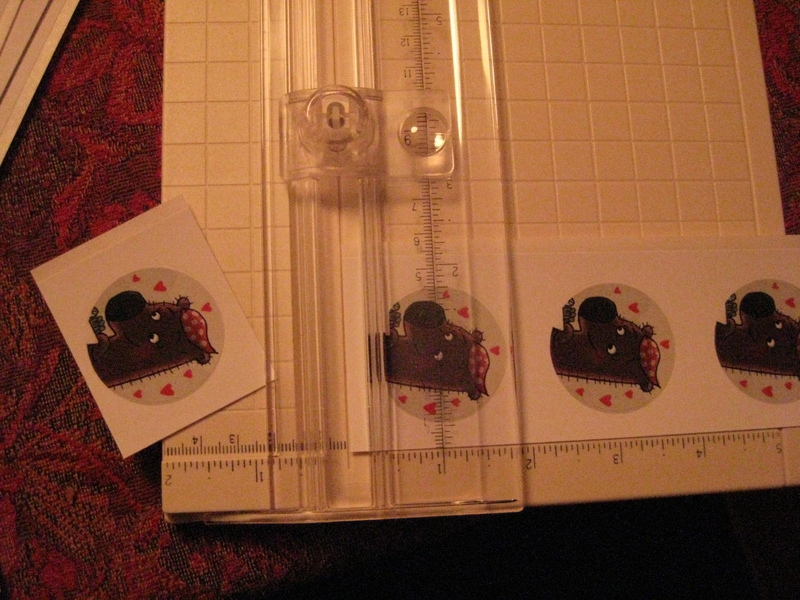 Above is a photo of those freshly printed materials, and below you’ll see I’ve started cutting up the stickers using my handy-dandy paper cutter. 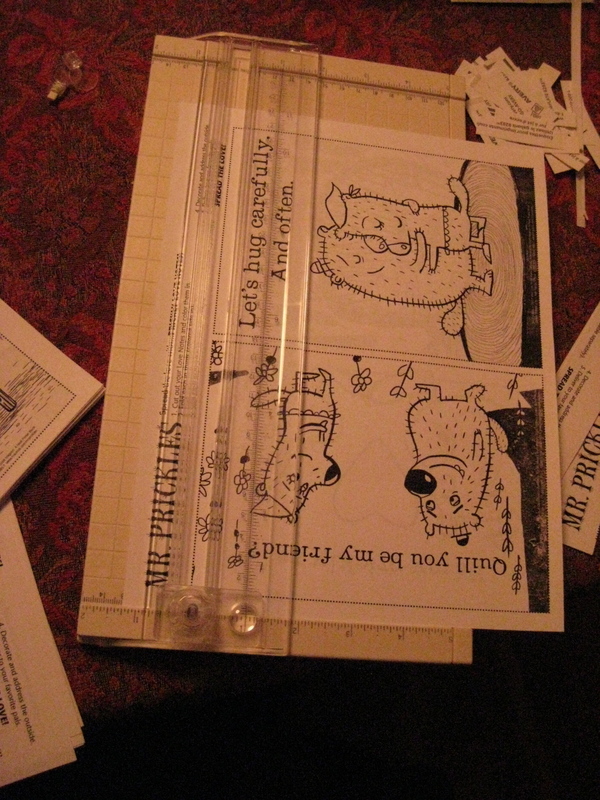 Exact measurements are required for uniform size and optimal prickliness. Voila! 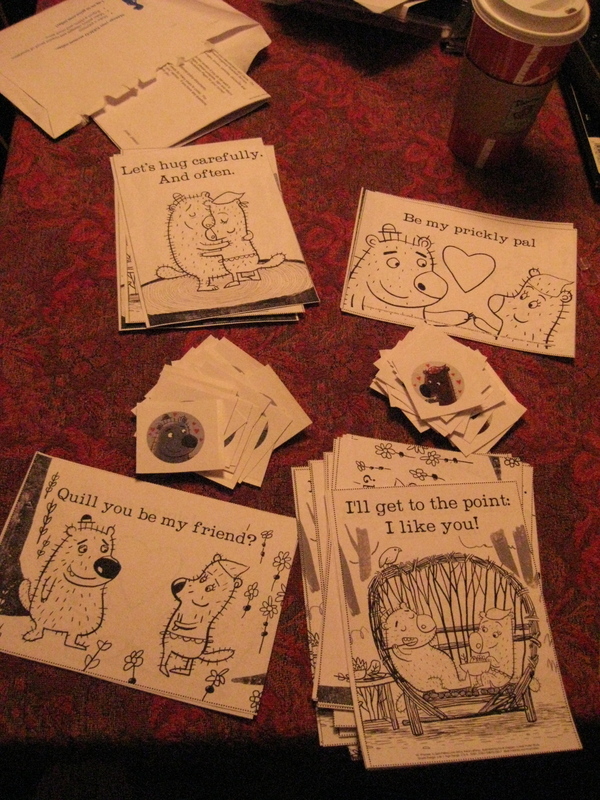 And now for the Prickly Love Notes, which need to be trimmed along all four of their borders. Finally, all the materials are done! Now it’s time to get organized. 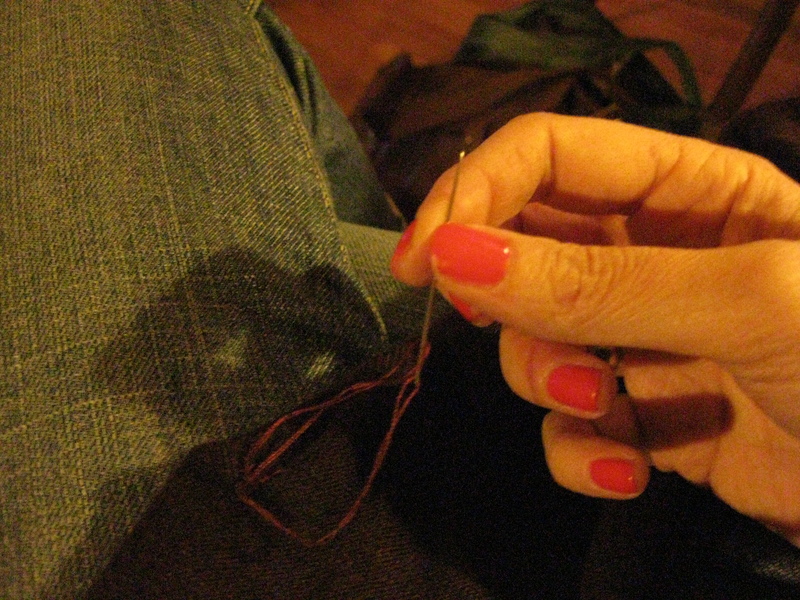 Who knew being an author would require sewing skills? Hope you enjoyed this little behind-the-scenes look at my pre-event productions. Of course, you can always make OTTO-mobiles or Prickly Love Notes without leaving your house (coffee and true crime television viewing optional) — and if you have a hole in your sweater, no one will know. P.S. If you want to see actual photos of the Barrington Books event, I have them posted on the Mr. Prickles fan page on Facebook, along with pics of other past events and Prickly news and reviews. I hope you’ll become a “fan,” if you haven’t already! Very impressed by the stickers! How did you do that? 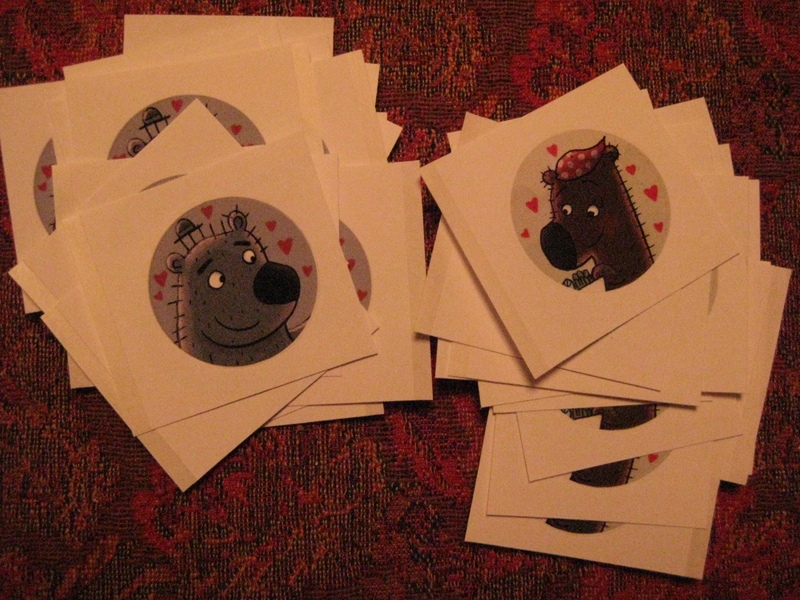 That = get the perfect image, the perfect plain white stickers, etc. I am wowwed by the savviness. What a sweet selection of giveaways, and all made by you. 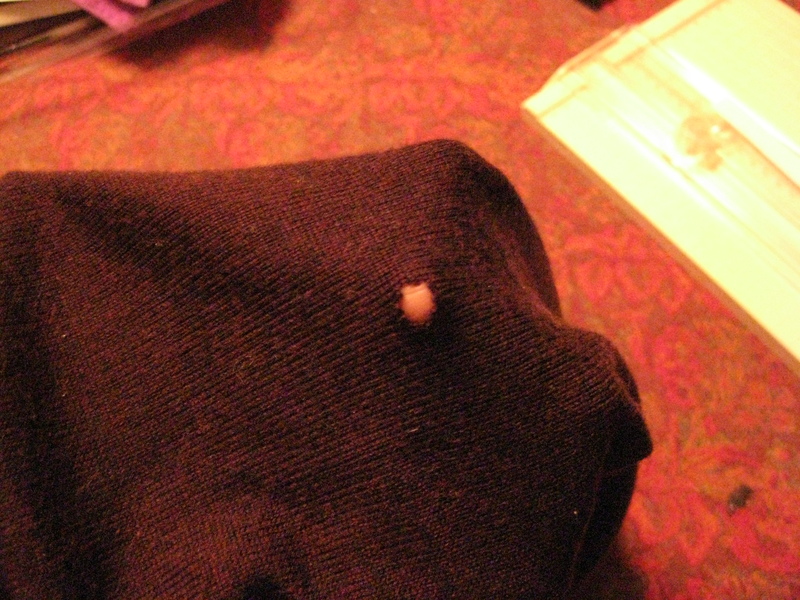 I am impressed–right down to the mending of the sweater. Next you’ll be making Mr. Prickles stuffed toys.